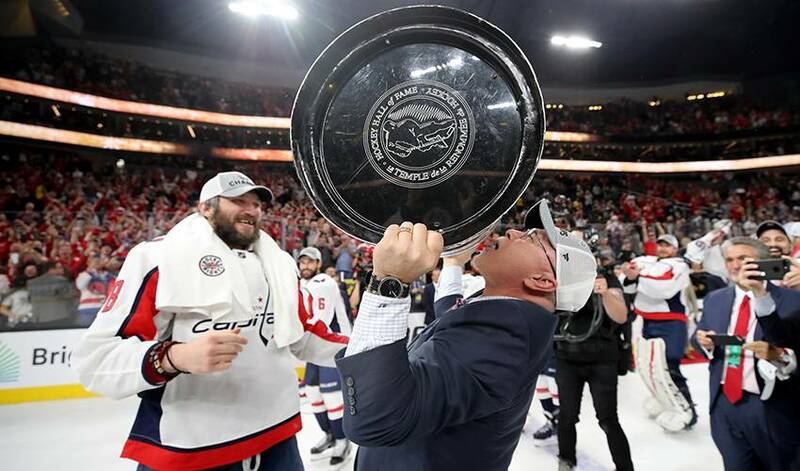 Barry Trotz has resigned as coach of the Washington Capitals after leading them to the Stanley Cup. Only the New York Islanders have a current coaching vacancy, though given Trotz's success in Nashville and Washington, other teams might consider making a move to hire him. Trotz has the fifth-most victories in NHL history and has guided a team to the playoffs in 11 of his 19 seasons. He is 762-568-60-134 overall with the Predators and Capitals, and he won 205 of his 328 regular-season games (63 per cent) since taking over as Washington's coach in 2014. Despite his contract situation, Trotz appeared relaxed throughout the post-season, even as Washington vanquished playoff nemesis Pittsburgh. After the Capitals trailed in all four series and came back to win the Stanley Cup, Trotz told fans at the victory parade last week: "We're going to do it again!"